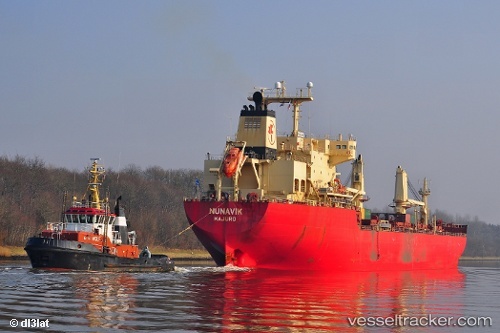 Fednav, a Canadian-owned company and world leader in Arctic navigation, on Sept. 19 announced that its vessel, the MV Nunavik sailed from Deception Bay en route to China via Canada’s Northwest Passage, with a full cargo of nickel concentrate. The Nunavik will be one of the first commercial vessels to transit the Northwest Passage completely, and the first to do so unescorted with an Arctic cargo, and with Canadian expertise. The Nunavik is the most powerful conventional (non-nuclear) icebreaking bulk carrier in the world, and sails from Deception Bay, Northern Quebec year round, transporting product from the Canadian Royalties mine. The Nunavik will deliver 23,000 tons of nickel concentrate to Bayuquan in China.